Beauty Blog by Angela Woodward: The Ultimate Spa Treatment at Home! Every Thursdayight my husband likes to go out with his friends for a guys night. While I'd like to say I go out for a g nirls night, I usually don't. I usually have a relaxing evening inside where I make super yummy food and give my skin a little TLC. Sometimes I have friends join me, but usually I have a party with some shrimp and netflix! Then I realized, who wouldn't want to know what you could do to give yourself a little home spa treatment? So here it all is lined out! I get the WORST calluses on my feet ever! My heels are always dried and cracked! So I use Mary Kay Satin Hands pampering set, on my feet! I use it once a week and it keeps the calluses away! 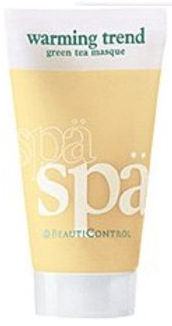 It's a 3 piece set where I use the hand cream (just on my feet) and then the exfoliating scrub! I then use a plastic walmart bag and i put it around my feet and I spend about the nest 20 minutes wearing them! I then rinse my feet off in the tub and use the hand lotion and voila! Soft and Beautiful feet! While I am waiting my 20 minutes with grocery bag slippers on, I boil some water. I grab one of my face clothes and I dip it into the water and take it out while I let my face sit over the steam. Then i place the towel over my face and soak up the warm goodness! This allows my pores to be opened! skin, so when I use this stuff I sometimes feel a little itcy, but it is all natural and still really safe to use. After I apply this masque I generally grab my food and sit down to enjoy and episode of whatever show I am in love with at the time! You can leave the masque on for as long as you want, but I usually wait until one show is over. 25-45 minutes depending on what I am watching. After my dinner and show I usually use the same towel I used to steam my face to wipe the masque off with warm water. Then I use an exfoliator and cleanser. I have a combination one from Mary Kay! The Timewise Miracle set! You can get the Timewise 3-in-1 cleanser for only $20 and it comes in combination/oily as well as dry/normal formulations. I use very warm water to rub the cleanser into my skin and wash it off thoroughly. After I feel like it is sufficiently gone, I switch gears and use cold water to rinse off my face! Cold water will close your pores to keep any bacteria or infection you just washed away out! Yes, I use another mask! This one is made at home though! I just take a cucumber and I smash it up! Sometimes I add a small amount of honey to it, but usually I just stick with cucumber. Cucumber has tons of natural vitamins and antioxidants that makes skin look bright and radiant! I leave it on for about 10-30 minutes and then I wash it down the drain too, using cool water to wash it away and rinse my face after. This one is simple! I use moisturizer! 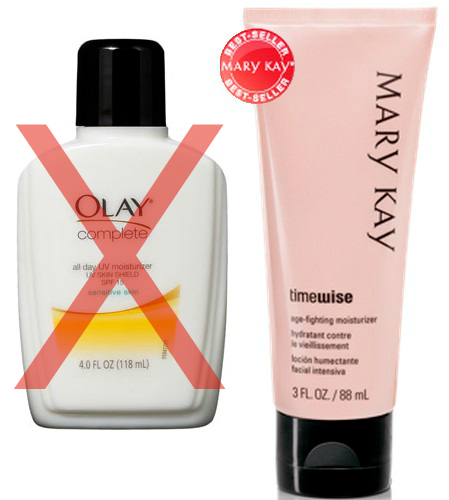 My favorite is Mary Kay Timewise Moisturizer. Once again it comes in two different formulas to fit your skin type, and it is overall wonderful! A little goes such a long way and it's water based! A little education here! If you put a raisin in a jar of oil and another in a jar of water what happens? The one in the water re-hydrates a little, and the one in the oil does nothing. The same principal applies with our skin. Why would we want to put a bunch of oil moisturizer on our skin!? It clogs pours and is short lived. Mary Kay moisturizer is water based to keep skin moist unlike Olay products that are all oil based! If you don't have any anti-aging products than step 6 is your last, but I am a firm believer in preventing aging from the start! It's easier to prevent than to repair after all. I use the last step in my Timewise Miracle Set regimen which is the Night Solution. It is full of vitamins and nutrients and keratin which keeps skin firm and supple. you can actually feel it working. Also in the Timewise miracle set is the Day Solution, which has some keratin and sun protectant as well. But I usually do this whole thing in the evening, so I use the night solution. Plus with Mary Kay products if you don't love it or see results, you get a full refund every time! No strings attached! So follow these steps and you'll have relaxing night and great skin! here are links to all of the products mentioned above.